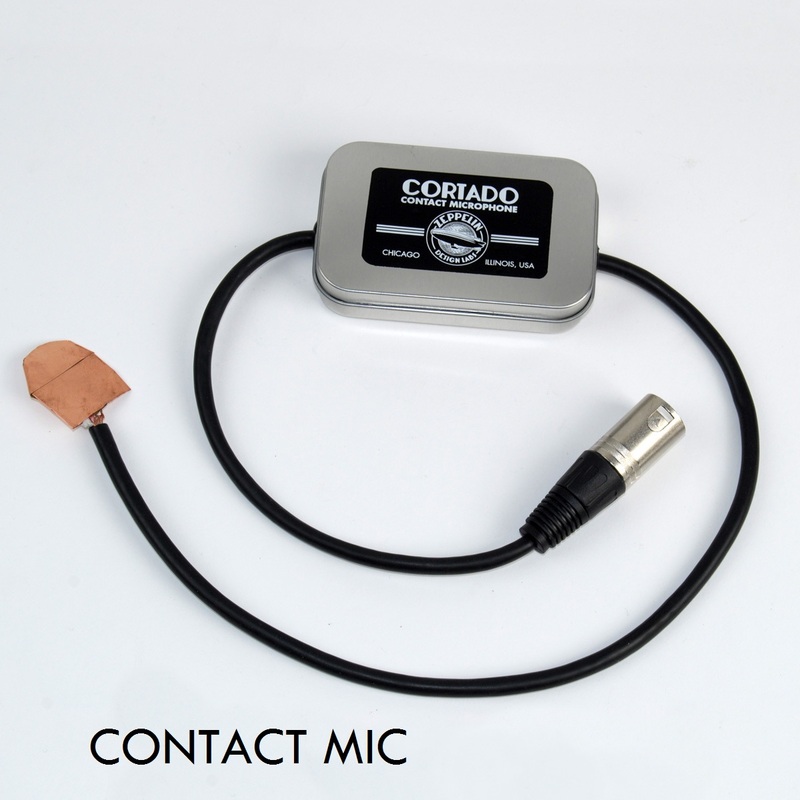 The Cortado is a phantom-powered contact microphone with a balanced output, originally designed by Alex Rice. The circuit properly matches the piezo sensor input impedance, which allows for wide bandwidth (~20Hz-30kHz), low signal losses, and high signal to noise ratio. 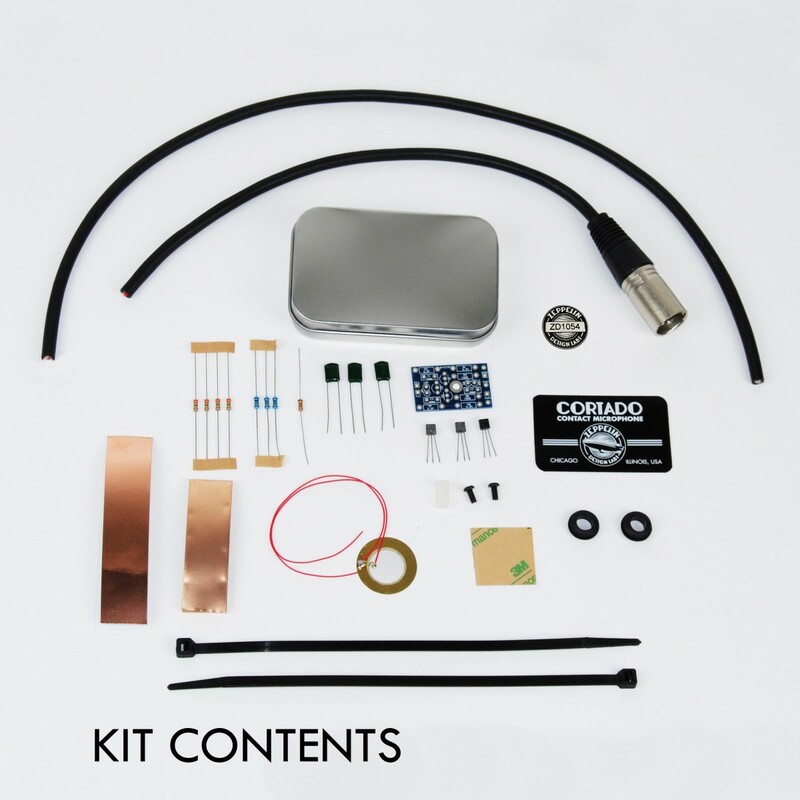 Available as a kit or assembled. Added by jessegimbel on October 14, 2015 and last modified by Peterson Goodwyn on October 14, 2015.